Local opposition is building against a proposed wind farm on the escarpment between two much loved Elizabethan landmarks in Derbyshire, Hardwick Hall and Bolsover Castle. Following a meeting last month, the applicant, Losk Lane Wind Farm Ltd, may reduce the number of turbines from three to two, and, at time of going to press, Bolsover District Council was awaiting written confirmation of this. The siting of the 410ft-high (at rotor tip) turbines on the exposed ridge of an old coalfield could affect the view of 14 listed buildings or Scheduled Monuments in the area. 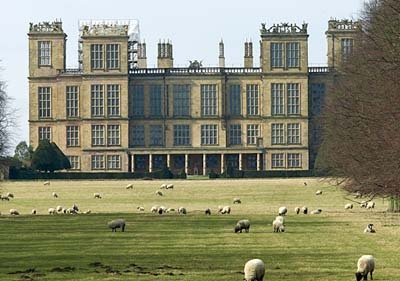 A spokesman for National Trust-managed Hardwick Hall, which has formally objected to the plan for three turbines, says: ‘It’s a cynical decision to say they’re on “damaged land”, because it’s an area that is just coming back to life.’ The Trust says the turbines would be ‘a competing and discordant element on the skyline’ and would result in ‘sub-stantial harm’ to Hardwick, which attracts 160,000 visitors a year. ‘an unduly prominent feature in the landscape occupied by these heritage assets’ and that the scale and proximity of the development ‘was not in keeping with the human scale of Bolsover as a small market town’. The Derbyshire Wildlife Trust has objected about the impact on birds, especially the golden plover, as has Natural England, and there are archaeology-based concerns, too. Further information can be found on the local council website (www.bolsover.gov.uk/council-news-2012.html), and anyone wishing to comment on the proposed wind farm should write to Planning Department, Bolsover District Council, Sherwood Lodge, Bolsover, Derbyshire S44 6NF.